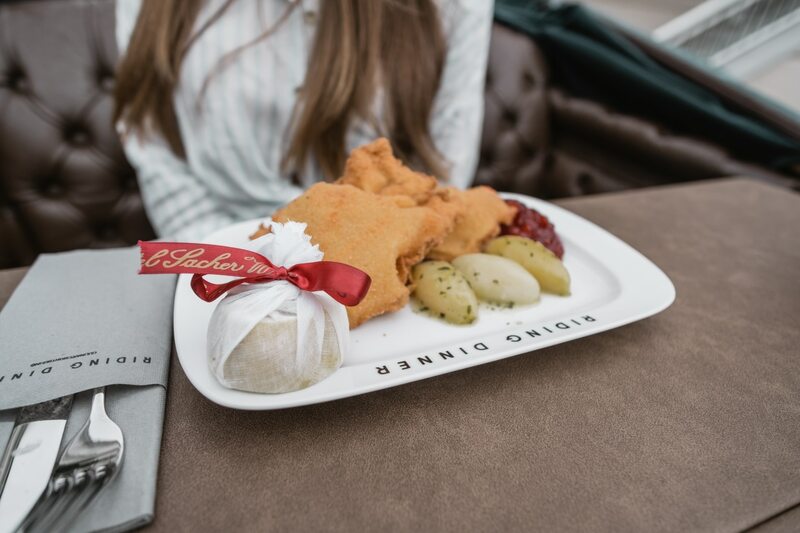 Enjoy the highlights of three selected traditional Salzburg-Restaurants during your 60 minutes sightseeing-tour. 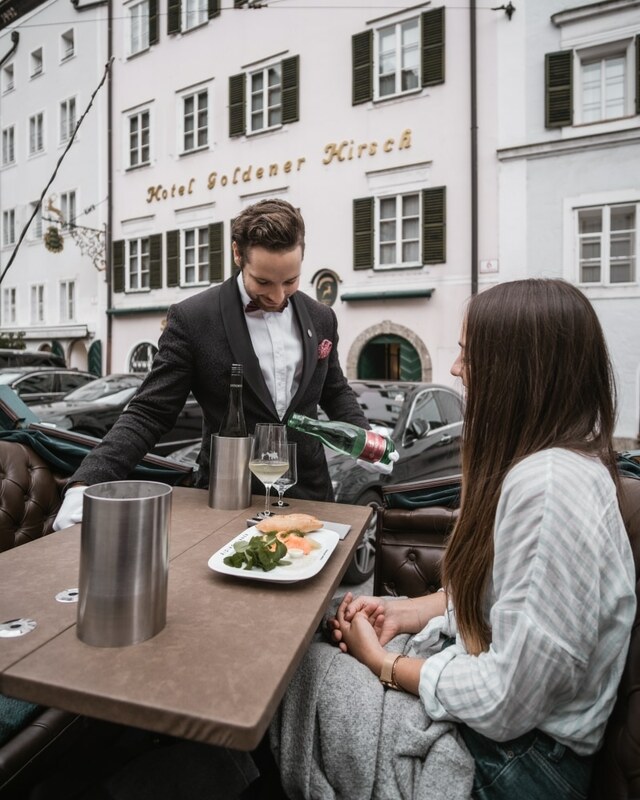 Before you start your horse-carriage-ride you will be welcomed with a glas of Austrian sparkling wine and a small savory delicacy of the famous Hotel Goldener Hirsch. After that we prepare the most exklusive „Dinning-Table“ of the entire city for you. Perhaps the most unforgettable 40 minutes of your unique Salzburg-experience. Make your horse-carriage-ride a little more special. 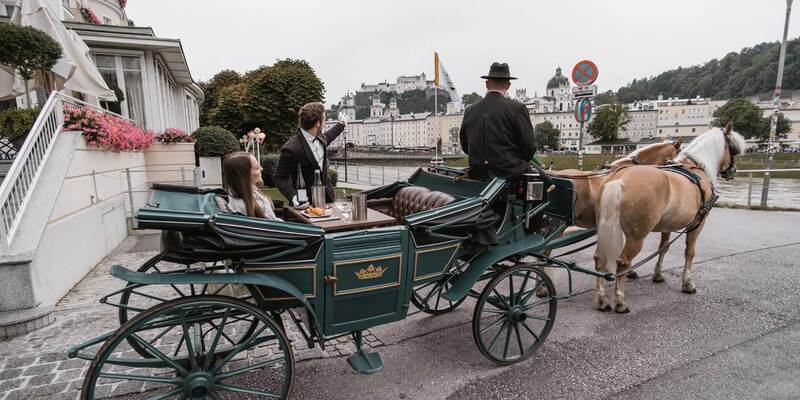 Enjoy some Austrian sparkling wine as well as small savory and sweet delicacies brought to you by one of the most traditional Hotels of Austria, the Hotel Sacher Salzburg. Prices are listed per horse-carriage-ride (maximum of 4 persons).